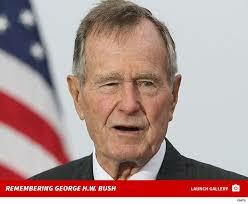 Ex U.S. President, George H.W. Bush is dead. Apart from other achievements, Bush it was that led the end of the cold war and also saw to the downfall of Saddam Hussein. His death was announced by his son George W. Bush in a statement, “Jeb, Neil, Marvin, Doro, and I are saddened to announce that after 94 remarkable years, our dear Dad has died."